As I’ve previously mentioned; working in the wine industry does allow me to make extravagant holiday plans and mask them merely as work ventures. I hadn’t been to California since I was five years old and in my opinion, 22 years was too long. My intention was to visit as many places within the Golden State and despite being a confident woman (and driver) I still needed back-up. My mother is incredibly obliging and a total hoot, so when I mentioned a Cali wine tour she didn’t need much convincing. I’d made a very comprehensive route starting in LA, up the coast towards San Francisco, then to wine country, before heading back down south to Joshua Tree and back to LA in two weeks. After the 11 hour flight to LAX we picked up our swish white rental and whizzed up to our first stop, Santa Barbara. Now there was one winery here that I owe a lot to. 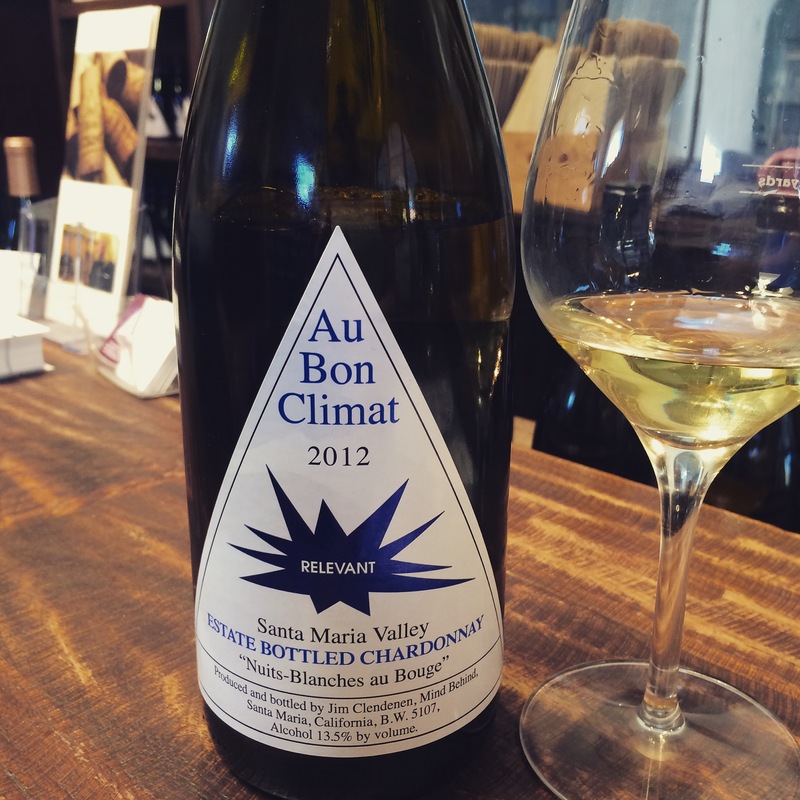 Au Bon Climat, or ABC if you’re cool, do one of the most delicious Chardonnays I’ve ever had. When I was a novice in the wine biz I was all about the Sauvignon Blanc and thought Chardonnay was horrible. Luckily, my manager at the time knew I was just clearly misinformed and hadn’t had my Chardonnay epiphany yet, and as you’ve probably guessed, a bottle of ABC was the game changer and I’ve never looked back. Like a kid on Christmas morning, I was so excited that I arrived at their door ten minutes before opening and looked whistfully at them to let me in. I explained about how much of a fan I was and that I worked for Majestic Wine which meant we got to do a range tasting for free (usually $20pp) and I was in heaven. Burgundian-like Chardonnay, a cracking Viognier and a whole host of Pinot Noirs showed how diverse and interesting these wine are. I know that we Brits often think that Cali wines are very expensive and yes, they’re not all cheap. However, compared to something similar in France you’re getting really great value. My favourite of the tasting was this incredible ‘Nuits-Blanches au Bouge’ Chardonnay, it was very French in style, buttery with citrus and tropical notes but with just a subtle hint of vanilla and oomph that just reminded you it was Californian. It could’ve been a Puligny-Montrachet at £70 but it was only $50, a bargain in my eyes. We accidentally stumbled across another winery called Giessinger Winery which was almost the complete opposite. A Frenchman making wines in America that were light, sweet and flavoured in very interesting ways, we had Riesling that tasted like peaches and grape varieties that I hadn’t even heard of that tasted like raspberry juice, all very exciting. When a tasting flight is $10 it’s so easy to just try so much. We decided that we should move onto the harder stuff and sought out a family run distillery located in the ‘Funk Zone’ in downtown Santa Barbara. Cutlers wasn’t open but we’d heard that it you knock on their door and smile sweetly, as we did, you might be able to get a quick tasting. Who could say no to my mother and me? With tales of bootlegging and Prohibition we sipped on their vodka, gin and whiskey and we loved the gin so much that we just had to buy a bottle, though, idiotic Californian rules meant that we had to go to the wine bar opposite (oh dear) to buy a bottle. After a trip to a local brewery and some 9% abv pale ales later we were pretty sozzled. We went to a lovely restaurant, ate some fish and drank some wine, I think. I’m blaming the jet lag. Next It’s wine o’clock in the USA.